Pre-orders are up and the wait is almost over. The Community site gave us quite a lot to think about last week with daily reveals and the April White Dwarf goes into a little more detail in Designer Notes. There's also a couple in depth reviews already surfacing from the lucky folks who got their Drukhari codex early. I'm not one of those lucky people but here are some of my thoughts on what we know so far! Arguably the biggest Dark Eldar disappointment post 5th edition was the loss of all those beloved special characters -- we lost 5 (five!) and they weren't nobody characters either; I legit wrote lists and played games with all of them. It wasn't just the fluff, which was pretty interesting for them, but the options these units unlocked during army list construction & on the tabletop. So we didn't get any of these characters back, HOWEVER, it appears we may be getting a lot of flexible options back in the form of special detachments and stratagems. The reported point reductions open things up even further, to the point where you could actually build horde style DE lists if you really wanted to. I'm most excited about the prospect for a wide variety of viable lists/styles, and the potential for such diversity without the reliance on other Aeldari allies/factions. It's been a long time since the DE could competitively stand on their own, so here's hoping the 8th edition codex fixes that. Now, I happen to be a fan of all 3 Drukhari sub-factions (Kabals, Wych Cults, & Covens) and already have units from each in my collection to draw from to start playing around with different combos. I enjoy representing each in the lists I write and the armies I like to play already for aesthetic reasons, but now it sounds like we will be rewarded for doing so as each sub-faction synergizes well with each other. I like the looks of that 3 warlord stratagem (Alliance of Agony) which goes perfectly with my initial Index army list. One of the first things I'll do when I get my copy of the new book will be to update this first list with new points and also detachment composition -- curious to see how much more we can fit in at the 2000 point level while also maximizing command points. Again, I'm no expert, but it seems like 8th edition is all about those CPs and knowing how and when to to use them. The stratagems revealed so far seem to fit well with the DE background and also translate into useful abilities on the tabletop. Lightning-Fast Reactions and Screaming Jets help to ensure we don't get shot off the table turn 1. I wont go into all of them by name, but there are some that affect cover, defensive & offensively, and some classic straightforward buffs to make your units more accurate or killy or survivable etc. I'm most intrigued by what is being presented as "unique" to Drukhari and what allows them to operate outside the typical game parameters, i.e. special snowflake detachments, stratagem interrupts, and who knows what other trickery the space pirates will have access to. That last one in particular, Agents of Vect, and the ability to shut down an opponent's stratagem seems utterly game changing! We'll see if it still looks as good once we have the full book (and full list of restrictions since that one was cut off at the end). Overall, I think things are looking pretty good for the dark kin! Coven units especially look like they will have some really strong builds/combos to explore. I really really want Wyches to work this time too as I feel they have been the least represented DE sub-faction on the tabletop in recent years, and I'd love some extra motivation to build the remaining 30 I have in storage haha. I'm really excited about what I've seen so far and have already started dusting off my units. 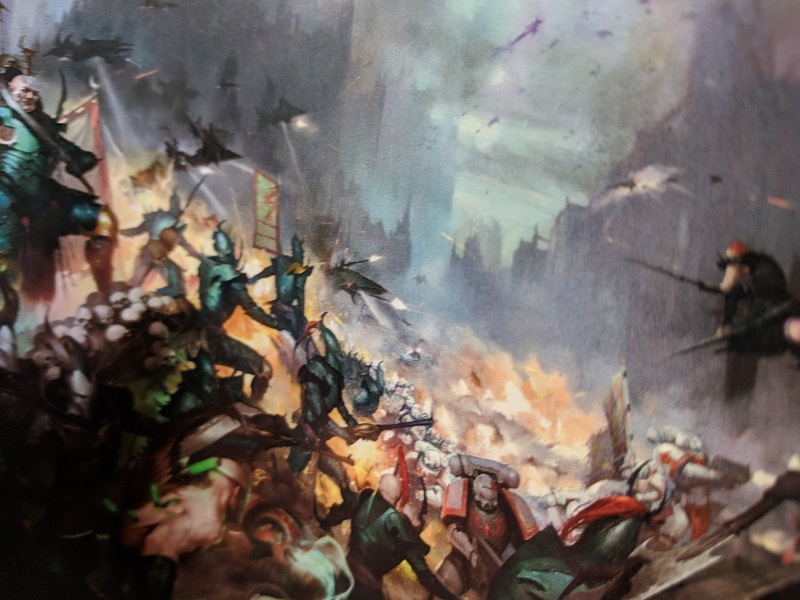 What are your thoughts on what has been revealed for the new Drukhari?